is this done yet? how is the progress? I do not know of other linux users with the same problem. Thank you so much for letting me know! I'll look into it tonight and try to load up a new Linux file as soon as I can. If that file doesn't work, I'll talk to our programmers to see if they can figure out the issue. Thank you so much for the compliments ^_^. I'm happy to hear that you enjoy it. 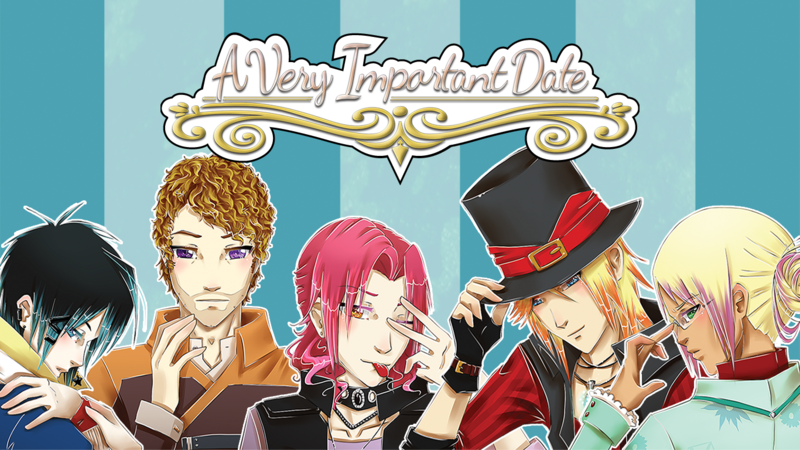 At the latest, we plan to have the visual novel out in a year from now. Hoping for sooner. A Very Important Date is going to be episodically released by character, but we plan to have both Emil's and Gwyn's main and epilogue stories out on release day. Absolutely love the story line and characters but I wish we could input our own name to make it a bit more personal. Great game though! Thank you so much! We're happy to hear that you like the story and characters. We do plan to allow players to input their own name for Alison. We haven't programmed this feature into the demo yet, but we hope to see it in a future release. This is something that I like in other visual novels, too, as I feel it makes it even easier to connect with the characters and the storyline. I've played the demo, and I really enjoyed it. I like Alice in Wonderland inspired stories, and this one is pretty interesting and unique in it's setting. It's nice to see how the alternate world is actually similar to ours, but still not the same. I may usually rather very fantasy oriented worlds more, but as far as Alice based stories go, this is an intriguing take on it. All of the characters are pretty nice, though I don't know if I'll try all of the routes. I'm also lucky because Emil is my favorite so far, so I had a couple of chapters to do. Can't wait to play his full route!